Rhodes in a high-density suburb located on the T1 Western Line which has various high-rise developments & several corporate offices within the precinct. Rhodes is also a waterfront suburb with plans for a new wharf which will link it direct on the F3 Ferry route of Parramatta to Circular Quay. The Rhodes Central development is right in the middle of this precinct being located literally right next to Rhodes Railway Station. It will become the marquee development within the precinct in terms of location & height. 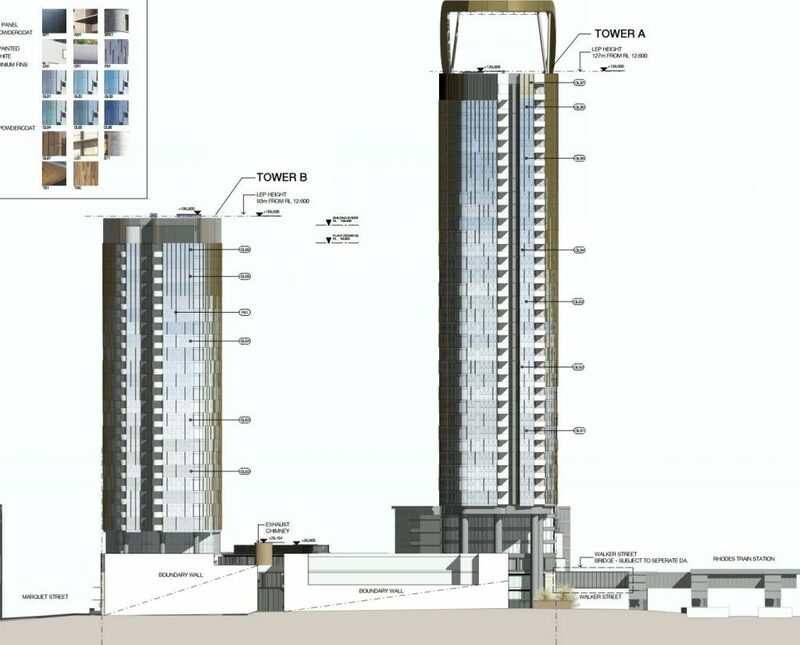 The design of these towers is spectacular & will truly top off the Rhodes skyline nicely. The tallest building will be the tallest building within Rhodes rising to 127m at roof level & 144 to the heliostat & will contain 39 floors. 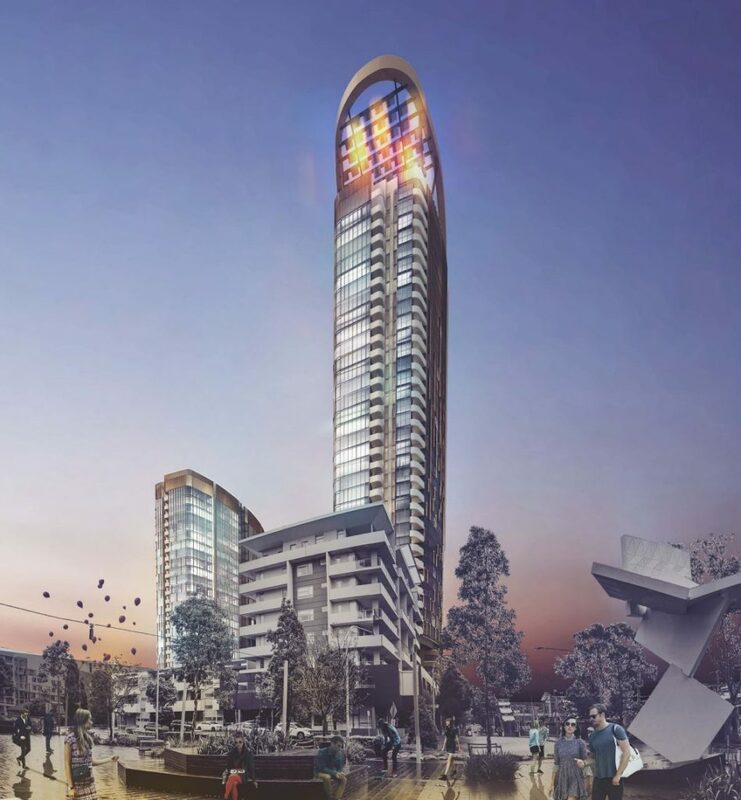 The second tower will rise 93m high & contain 28 floors. 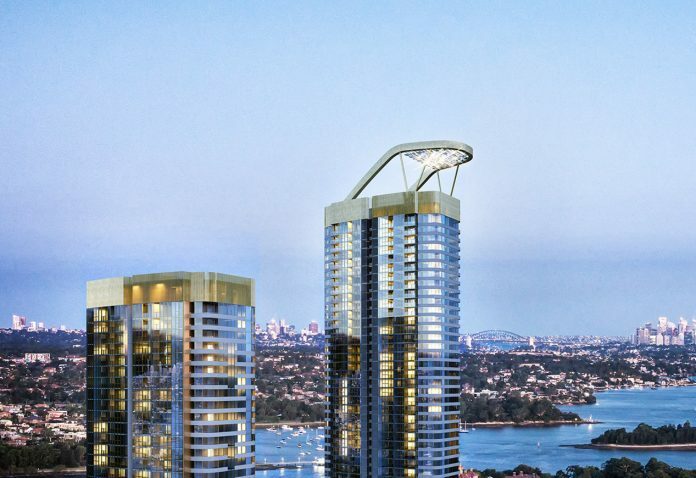 This development can be considered to be a very transport orientated development as it is right next to Rhodes Train Station which is served by 4 TPH (trains per hour) or a train every 15 minutes into the Sydney CBD, however, by 2020 there could be as many as 8 TPH or a train every 7.5 minutes which would suit the level of density this development would bring. This boost in frequency is sorely needed, especially true if you consider the Rhodes East Peninsula plan which could potentially see the other side of Rhodes redeveloped into a high-rise suburb. The will also be a retail component which will serve both the local residents & locals within the area catchment aswell. There will be new laneways which pedestrians will be able to take advantage of which in turn gives more retail options for local business owners. 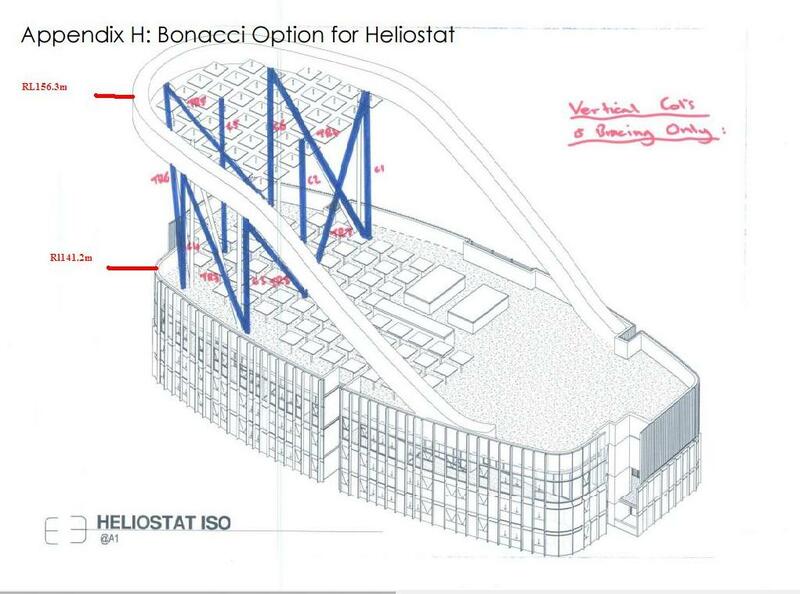 A major highlight for the development is the heliostat which will project light on the streets between the development below to ground level. This is done by reflecting light onto parts which otherwise would not receive sunlight. It is only the 2nd building to propose this, the first being the Central Park development in Broadway next to Central Station. 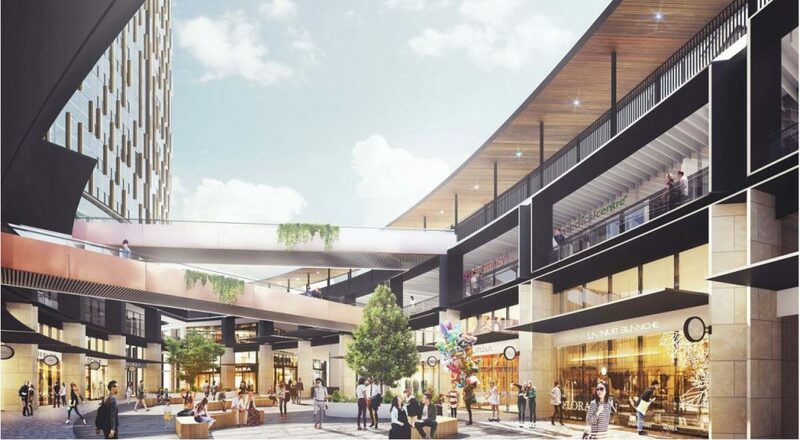 The Developer of Rhodes Central is Billbergia & the architects are SJB which to their credit has done a fantastic job with this development designing what will be a true centrepiece for the suburb. The total cost to develop the property will be $342 Million making it the most expensive development in Rhodes currently proposed. It is expected that the development will be finished sometime between 2019-2020. The Rhodes Central development will be a development which elevates Rhodes into another level in terms of luxury & offering. 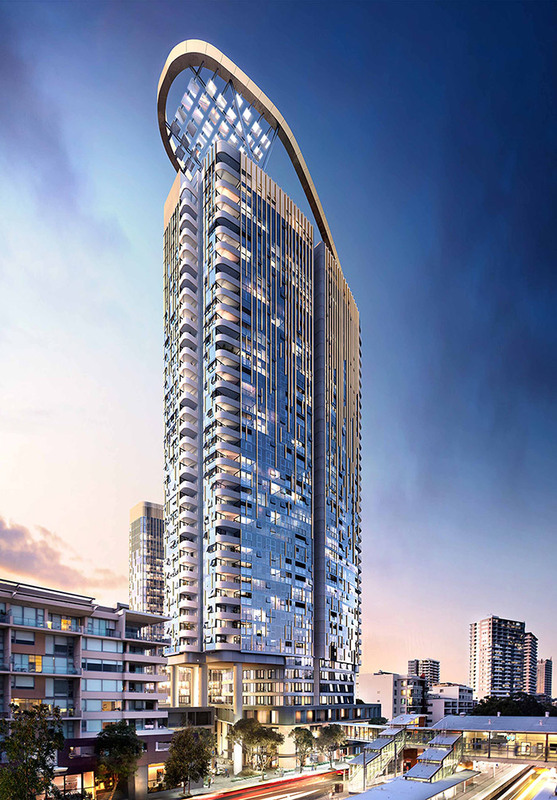 It could be viewed as turning Rhodes into a mini-CBD, the apartments will be good quality according to the renders & the retail offering will be diverse along with Sydney's 2nd heliostat.